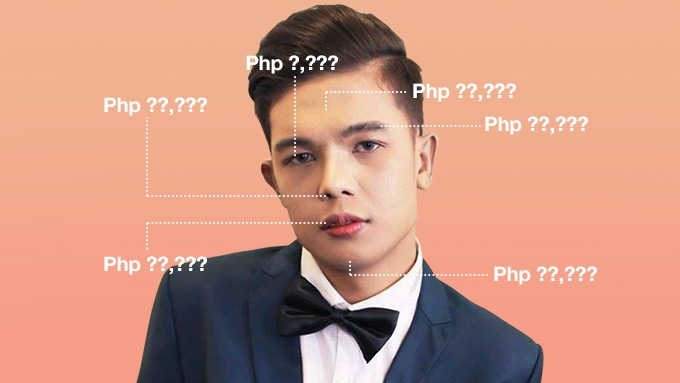 How much does Xander Ford's makeover cost? The new look of social-media star Xander Ford, formerly known as Marlou Arizala, was revealed on Sunday night, October 1, on Korina Sanchez's Rated K.
The new look of Marlou Arizala has taken the internet by storm. To some netizens, his transformation is more than just a before-and-after story. It's his revenge against bashing, and his rise above the hate. The 20-year-old guy who was dubbed "One Pants Man" on social media for wearing "iisang maong" through various occasions is now a potential "leading man" on memes. He was bashed excessively for being GGSS— or "Guwapong-Guwapo Sa Sarili"—and now has finally fit regular society's standard of guwapo. He has already said goodbye to Marlou, and has started using Xander Ford. All the changes were a dream come true for him. "Natupad ko na po yung pangarap ko...kinalimutan ko na yung mga nakaraan, kasi itong bagong 'to, ito na yung bagong mamahalin niyo." After Rated K showed all the cosmetic surgeries and treatments he had undergone, the next question was: How much did his total makeover cost? These numbers came from The ICON Clinic, which performed the procedures. These numbers came from Prettylooks, which is Xander's sponsor. 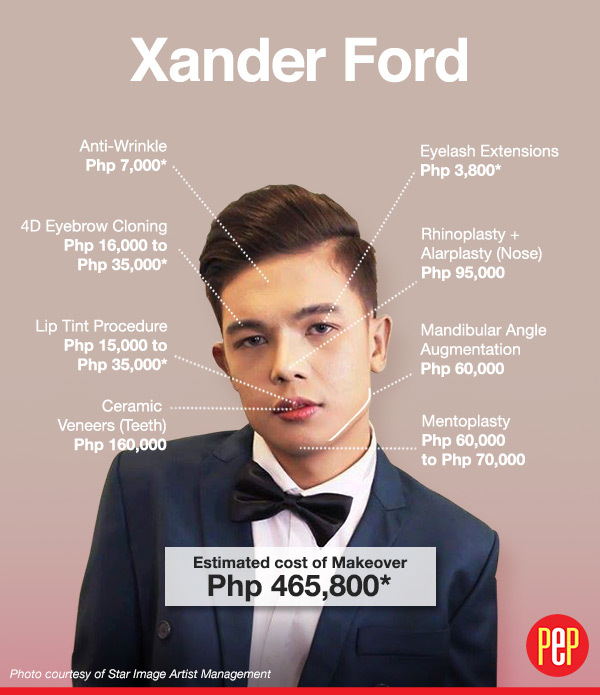 Hence, the estimated total cost of Xander's makeover is PHP465,800.